We are all individuals in this world with different ways of looking at the same events. No better period demonstrates this principle than our current events. Here in the United States, we have two political parties that are talking about the same issues in entirely different ways. Depending on how you look at things, you are either dissing half the country or telling it like it is. That’s what perspective is all about. Does negative feedback inspire you or incite you? In the case of the NFL, it certainly inspired them to get a deal done. 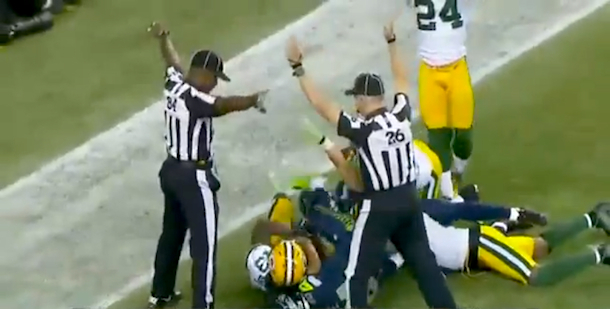 After spending months trying to reach an agreement, after that play, they hammered out an agreement and had the professional referees back on the field in three days. What happens when you get a review that rips your book? You wonder how in the world they could have been reading the same book as you published. What happens to you when this occurs? Do you retaliate? Do you go find something of theirs and deliver payback? Your attitude and perspective dictate everything. Can you find something of value in the negative review? Do you get defensive to a critique in your CRITIQUE group? When I see a negative review or a criticism of my writing, it inspires me to be better. I know that I’ll look back on my first book, The Card, and roll my eyes after I have another three published. We are all learning this game. From marketing, to publishing to writing and editing, we are going to get better and better every day. See, the problem isn’t with the negative feedback or constructive criticism. The problem is allowing CHANCE or the shifting sands of your unconscious to dictate your mood, actions and attitude. Being aware of your own psychology and taking responsibility is an ongoing, active event. 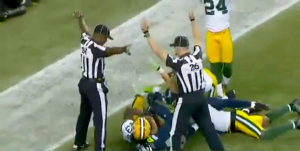 No, the 59 minutes and 58 seconds prior to that play cost you the game. Don’t be a victim in your writing. It’s not someone else’ fault you have a bad review or don’t have time to write. Attitude is everything. Change your perspective and you change everything. Good stuff. I can’t count the times I have been given feedback that stung at first, but when I sat back and thought out it, I found some merit in it. Even if i disagreed, I could figure out why. Not to tell the other guy, but to tell myself and feel good about carrying on. That’s the way to do it Yvonne, we always keep growing. Great advice! Being able to recognize that silver lining, whether in getting a bad review or really anything negative in life, can(in my opinion) can really help you grow as a person. It’s like the analogy of whether the glass is half empty or half full. It’s all in the way you look at it. As writers, we need to look at reviews and critiques, good, bad and mediocre, so as to glean as much benefit from it as possible. If it is from someone who is simply disgruntled by life, then we needn’t give it a second thought. If we can find some good in a bad review and address it in a positive manner, we have won, whether the reviewer was right or wrong. You are so right. Great perspective. I thought I could string words together pretty well. In truth I still think so. 🙂 But since seeing what a real editor can do I’ve felt my whole perspective shift. Even better, I’ve felt my skill as a writer ratchet up a notch. I’m learning about my bad habits and I’m learning how to make a reasonably good story /better/. I hope I remember this lesson when I get my first bad review. I’m not looking forward to it but I think I can cope with it better now. Really enjoyed this post. You are going through what every writer goes through. It’s a tough thing to see your work get hammered, even by an editor. In the end, it’s all good! Good stuff, Jim — thanks! As always, we’ll said pal! And the perfect real life example! Awesome, Tony, thanks for the support!